The ideal material restoring form and function to a tooth would be fracture resistant, possess a high ability for margin adaptation and be esthetically pleasing in character. 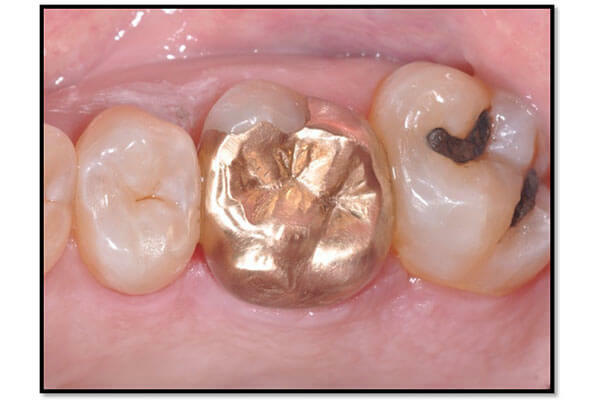 Gold is an ideal material to restore posterior molars where the forces generated between teeth are greatest. The design of the crown restoration can be modified to accommodate the horizontal display of tooth structure when smiling with leaving the facial surface intact. In restorative dentistry, the “gold standard” is applied accordingly.